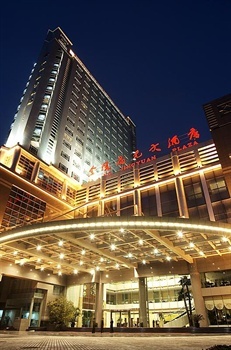 Convenient to Xuanwu Lake and Confucius Temple, Nanjing's Jinlingjingyuan Hotel (Jinlingjingyuan Dajiudian) is east of Yangtze River and west of Qinhuai River. Rooms with with broadband internet access are offered in this Nanjing hotel. Jingdu restaurant sticks to Huaiyang cuisine and Jinhaiwan restaurant serves various Western dishes. A large multifunctional hall together with a VIP room caters to large presentation and social events. For small gathering or negotiation, there are several small conference halls. Professional meeting staff are ready to offer help.